The 2017 Davis Cup gets underway this weekend with 16 nations battling for a spot in the World Group quarterfinals. 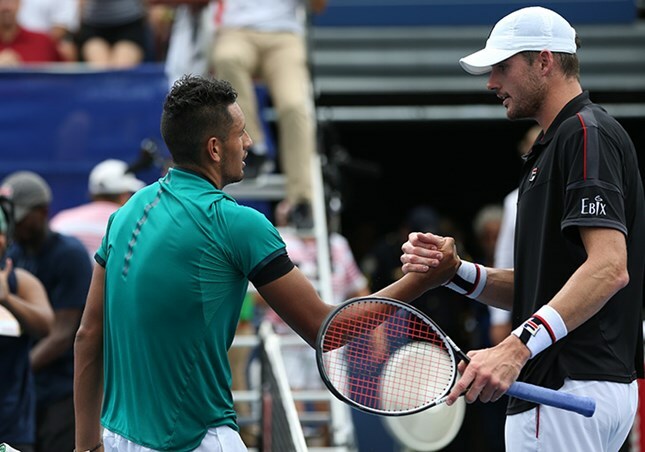 Several participants from the 2016 BB&T Atlanta Open will be competing for their countries including finalists John Isner (U.S.) and Nick Kyrgios (Australia). Isner and the American team will host a Switzerland squad without top players Roger Federer and Stan Wawrinka. Kyrgios and the Australians welcome the Czech Republic who are missing their best player, Tomas Berdych. Other 2016 Atlanta participants include Dan Evans (Great Britain) and Sam Groth (Australia). Follow us on Twitter @bbtatlantaopen for updates on how our stars fare.